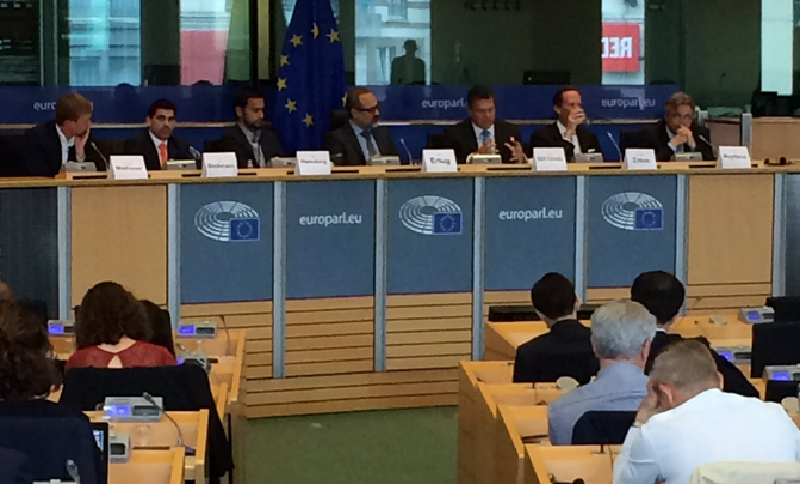 On Tuesday, MEP Ismail Ertug organised the 4th edition of the Driving Future Platform. The keynote address was delivered by Commissioner Maroš Šefčovič, who referred to the enormous changes that automated driving will bring to transportation in the future. He concluded saying that “I can assure you that we, in the Commission, see this topic as a high priority and we see our role in steering, accelerating, and supporting the emerging European market of autonomous cars.” The following Q&A session with the Commissioner focused on connectivity and infrastructural development. The second part of the platform was structured by presentations of the German Ministry of Transportation on its highway test bed and by the European Automotive Telecom Alliance on mobile communication standards. Additional presentations on truck platooning and digital infrastructure were also given. Wrapping up the event, Ismail Ertug argued that harmonisation, infrastructure and funding must go hand in hand to ensure the rollout of automated driving on European Roads.